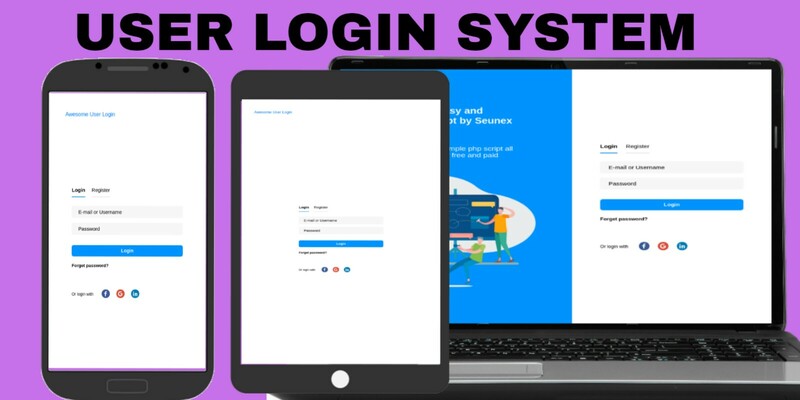 This is a simple and very easy use user login and registration system for your project. This is build with cool animations and advance looks with ajax. Users can login and register with this script which validate users informations andmore. it is really 100% responsive. The script comes with diffrents login style which gives you the options to select your choice. Updating will be going on because we will be adding more styles frequently.